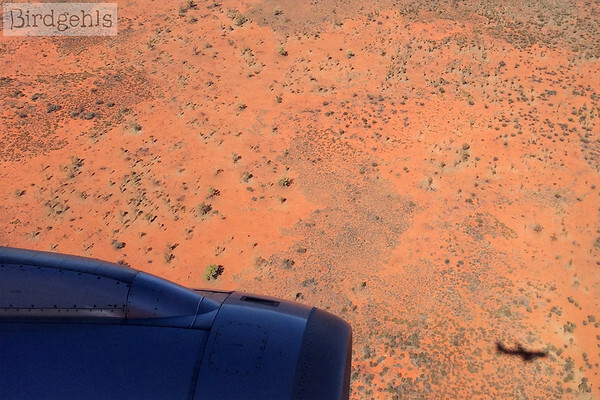 Flying over Australia can look a lot like this. Are you going to Australia on holidays and not sure of what to expect? Well, settle down with a cup of tea (or glass of wine) and get reading – as this post is here to answer any and every of your burning questions. 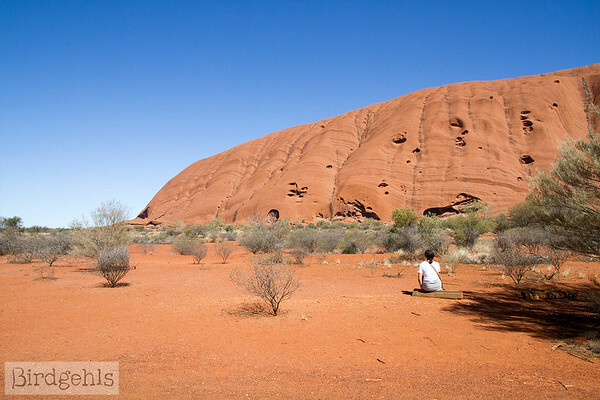 I’m an Aussie and I’ve spent a lot of time travelling around my own country – I’ve been to every state and territory at least twice (no easy feat, I’ll tell you that much). Over this period of time, I’ve learned a lot about Australia. Geographically, yes but in a cultural sense as well. Australia is a fantastic place for many reasons and definitely worth visiting. 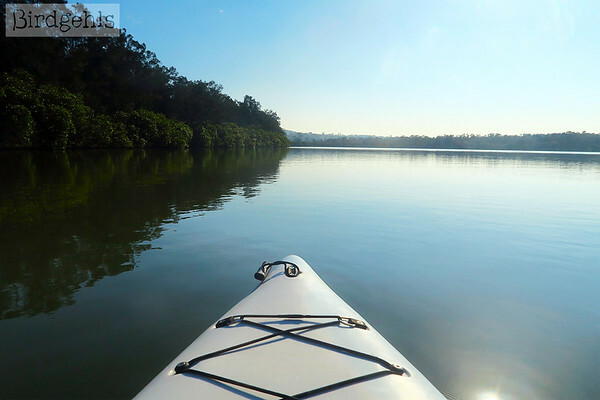 This post aims to help you get acquainted with what to expect here, to make your Australia vacation as good as it can possibly be. Here’s a guide to travelling around Australia, with some things you should consider before making a trip to the Land Down Under. Australia is massive. As in, unfathomably big. Or to put it another way, size of Europe big. Yeah. That big. When you consider our population compared to countries of a similar size (around 24 million at the time of writing, in contrast with the USA, which is 327 million or China, which is around 1.3 billion), you’ll realise that there’s going to be a lot of nothing in this country. Most of the population can be found in built up areas along the coast. There are entire families elsewhere, who live on properties the size of small countries (some have even turned them into their own countries!). I’ve heard reports of people planning a trip to Australia, looking at a map and guessing they’d need about two weeks to travel around the country. No. This is incorrect. You could maybe drive from Newcastle to Melbourne in that time, if you wanted to do it properly, but you wouldn’t see much in two weeks. I estimate that it would take around three months to drive around Australia, but that would still be a rushed trip. You’d need much longer to see the country properly. Most Aussie’s choose to fly long distances and the main airlines are Qantas, Virgin Australia, Jetstar and Tiger. I mostly fly Virgin and Jetstar – the two have weekly sales on Thursdays and Fridays respectively. I recommend signing up for their emails in advance of your trip and keeping an ear out for bargains. This will mostly be your view. If you’re driving great distances, particularly in some of the remoter states like the Northern Territory, South and Western Australia, expect to spend a lot of time travelling through a whole lot of nothing. Well, that’s not entirely fair, but the towns will be spaced fairly far apart and you’ll find yourself driving past a lot of farmland, or desert scrub. It’s not boring – there’s often weird art put out by locals along the way, plus plenty of little towns, museums and sights you would otherwise miss if you stuck to the main tourist trails. Yet, there will be some points in which you’ll be lucky to see a single cow, let alone any sign of civilisation. Have a good playlist or podcast on hand. Australia has one of the strongest economies in the world, which is fairly impressive when you consider its population. One downside of this, is that it’s steadily become a very expensive place to live and travel in, which can seem alarming when you first visit. It’s also quite upsetting if you live in Australia, as wage growth is one area that has generally been lacking. Everything is expensive in Australia, particularly travel. You can get around the country on the cheap, but it’s nowhere near as easy as it once was and unless you’re flush with cash, you’ll have to make some sacrifices along the way, to see you through. Although it will allow you to really travel through the country, if you wish. A solution many people under 30 take, is to apply for the Australian working visa. This enables you to stay a full 12 months in the country, which can be extended another year if you choose to spend 3 months “going bush” – that is, working in a location that is deemed to be remote. On the one hand, is a great way to earn some coin while you travel, plus 12 months allows you enough time to see a decent amount of the country, if you out your mind to it. Yet, there are regular horror stories of workers getting exploited. I’ve never been on the visa because I am Australian, but I know people who have been on it and it certainly could be a lot better. I don’t know where exactly I’d lump Australia on the spectrum of “safest countries in the world”. On the one hand, you’re probably not going to get mugged while walking down the street. Our gun violence, due to very restrictive laws put in place over twenty years ago (read about the catalyst for this here), is pretty low. There’s a lot of media beat up at the moment over gang specific violence, but I think you’d have to pretty unlucky to encounter it. However, there is a fair bit of alcohol-related violence on the streets at night and two women have been violently raped and murdered in Melbourne alone in the last twelve months, not to mention attacks against POC’s. I would say by and far, Australia is a safe country to visit. As a woman however, I am generally on my guard, particularly at night, when I don’t take any unnecessary risks. It really stinks that this is what we have to do, but we have the patriarchy to thank for this, I suppose. And sometimes it’s nice to just switch off. Getting an Australian sim is really easy – you can buy them at any Woolworths, Coles, IGA or the Post Office. I thoroughly recommend Amaysim – I use them myself. Their coverage is pretty good and their $20 a month plan gives you unlimited calls and text and 2.5 gig data. Click here for $20 free credit with Amaysim! There’s also quite a bit of free Wi-fi floating around, especially in the big cities. Plus your usual suspects, such as MacDonalds, Starbucks and the like. Be warned – Australian internet is slow. Frustratingly so. Plus, the more remote you go, the patchier it will be. If you’re road tripping somewhere, don’t be surprised if your 4G drops out for long stretches at the time. Be sure to download offline Google maps for any area that you’re exploring, so you can get around without the nets. Traditionally, Australia doesn’t have a tipping culture. This isn’t stopping businesses from trying to introduce one, which isn’t fair. The onus should be on them to pay their employees properly, not to have customers pick up the slack – particularly when eating out in Oz usually isn’t cheap to begin with. Australian minimum wage could be better, but it’s acceptable in comparison to many other developed countries. Hospitality workers even get penalty rates on top of their pay (as they should) although that’s something the “Fair Work Commission” seems intent on stripping away. As a rule of thumb, I tip if the service is good, usually a couple of dollars. Most places will have a jar on the counter for this purpose and this is preferable to paying on card, as you know the tip has a better chance of going back to the employees. Even small towns will have places where you can buy groceries. All in all, you will save considerable cash in Australia through cooking meals wherever possible, particularly if you’re staying in hostels. Most meals out will cost a minimum of $15 dollars, which can really add up over time. It gets worse in smaller cities and towns, where the options are limited and places are free to charge what they want. That being said, food at the supermarkets can seem obscenely expensive, particularly the produce. On the upside, a lot of it is homegrown but whew! The prices can make your head spin. Many people in rural areas grow their own produce, even in their backyards and it’s not uncommon to see signs for “fresh strawbs! tomatoes! pumpkins! blueberries!” and such on the side of the street. It’s definitely worth pulling over to check out the wares, as you may be able to nab yourself a decent bargain. And in most instances, this produce will taste 110% better than the stuff from the supermarket – fresh, as nature intended! 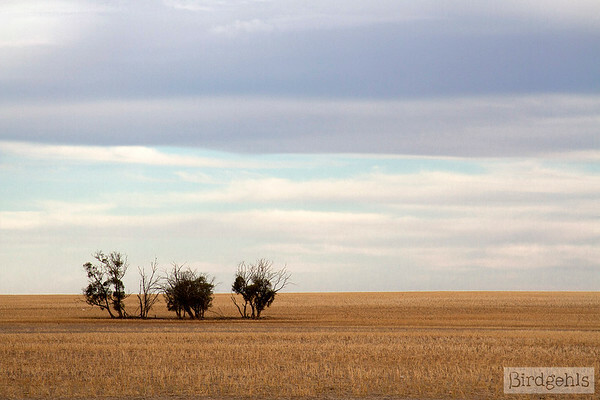 It’s pretty easy to forget that Australia is, in fact, a continent and so is home to a range of landscapes. 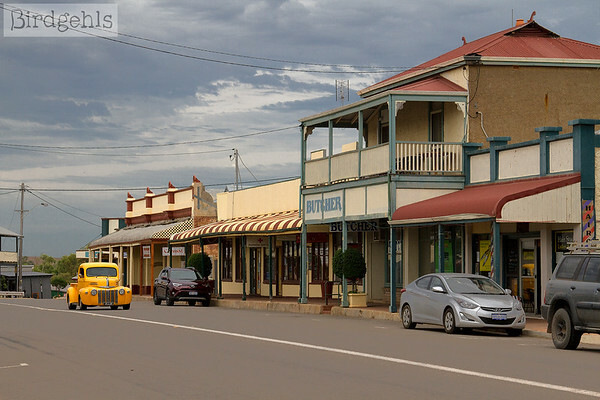 Mountains, bushland, desert, coast, even snow – you can find just about anything in Oz. I like that each state and territory offers its own unique experience, in this regard. You can visit Queensland for its rainforests and beautiful beaches. Victoria and South Australia are renowned for their production of wine. VIC and NSW have snow fields and NSW also has some of the best urban environments. WA and the Northern Territory have the biggest share of the outback. And Tassie is just about the most beautiful place you can visit in the world. Australia is wild. You’ll see our fauna everywhere – flying through the skys, bounding along paddocks, crawling up trees. However, it will depend entirely on where you are and what time of the day it is. If you’re in an urban environment, you will not see kangaroos bounding down the street. That being said, I used to live in a regional city and regularly woke up to find them sprawled out on the front lawn of my house, so you never know. Even when you go remote, the more exciting breeds of Australian animals will often decline to make an appearance. I drove 1300km in Western Australia recently and saw ONE EMU. I can’t remember the last time I saw a koala in the wild. And while I do see plenty of kangaroos and wallabies, in a lot of cases it’s often just dead on the side of the road. This means the moments you do see them are precious! Our fauna is truly unique. If you do spot an Aussie animal in the wild, don’t disturb it by taking too many photos or trying to pat it (I have seen idiots try to do this). Just let it be. The thought of Australia may bring to mind sunny days, endless blue skies, frolicking along the beach, general heat and sunshine. Well, summer is pretty damn warm. Yet, we do actually get winter in Australia… and snow! Sydney is traditionally thought of as being a pretty sunny place, yet it actually gets more rainfall a year than Melbourne. Melbourne is our windy city, where the weather can change without a warning. The city is the inspiration behind the Crowded House song Four Seasons in One Day. Winter is actually the nicest time to visit the Top End (far north) as it’s super humid in the summertime, with regular storms. On top of that, climate change is wrecking havoc on the country, with bushfires and floods becoming a regular occurrence and cyclones starting to regularly hit our coastlines. I spend all of summer waiting for this. I know the images usually conjured when one imagines travelling to Australia are white sand beaches, with glistening blue water and sun-swept bronzed lifeguards running around. However, I wouldn’t say summer is the best time to visit, not at all. For one thing, the beaches up north become ridden with box jellyfish and often, sharks in the warmer months – so you can’t go in the water. Bugs come out, as do snakes. And due to the summer months being at the arse-end of the year, prices rise in accordance with the holidays. I think generally any other time of the year is well suited to travelling in Australia – winter in particular is seriously underrated. Australia has one of the highest rates of skin cancer in the world – our sun has a particularly vicious bite to it. I’d highly recommend staying out of the sun between the hours of 11am-2pm on days with a high UV index (you can check the weather on the Bureau of Meteorology). If unavoidable, wear a hat, sunglasses and cover up your skin! Don’t travel to Australia without sunscreen – preferably a non-toxic brand (protect our reefs and oceans!). 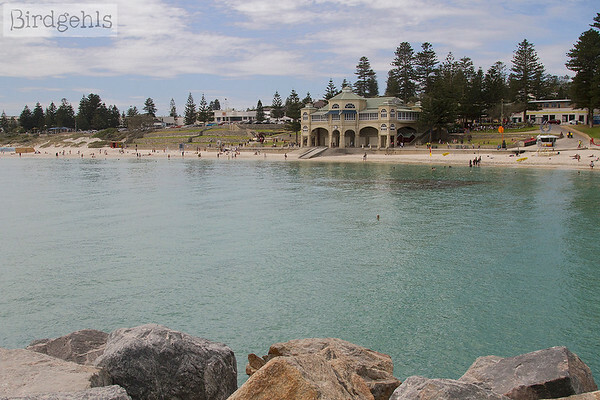 Perth’s beaches are beautiful, but deadly. Another reason to avoid the summertime – up north, it’s hot, it’s humid and you can’t even jump in the water, to cool off. This is due to the presence of box jellyfish, which contain toxic venom that can cause heart attacks. If you get stung you may not die, but you’ll be in a lot of pain. The west coast is notorious for shark attacks. While I’d say your chances of getting attacked are relatively slim, you are in their territory and it is a risk. Away from the coast, things can still get a little freaky. Be careful when swimming in watering holes, as snakes don’t necessarily stay on land. And then there are the crocs. If you’re in crocodile territory – DON’T GO IN THE WATER. Or better yet, stay out of their habitat entirely. I think I’m permanently scarred from this story of model Ginger Meadows who went swimming in crocodile infested waters in 1987 and was partially eaten. Ugh. Every summer, there are reports about tourists drowning, because they don’t know how to swim. If you are not a strong swimmer, don’t get in the water. Here are some tips for beach safety in Australia. That last bit is a bit of a downer, so I’d like to stress the point that it’s highly unlikely that you’ll even encounter a snake or a spider, let alone be bitten by one. This seems to be a fear of many people who want to travel to Australia. It’s fair enough – we have a lot of deadly creatures and Australians seem to almost delight in spreading the rumours that just about everything that lives in this country or in its waters is a vicious, killing machine. I will say I’ve had encounters with many poisonous creatures, but I’ve lived here most of my life and spent a large chunk living rurally, to boot. I’ve never been bitten by anything worse than a mosquito. Use common sense. If you do see a deadly creepy crawly, just leave it alone to do its own thing and it’ll do the same to you in return. Nothing to do with plug sockets. On to more positive topics! Australia has its own plug socket, featuring two flat metal pins shaped like a “V”. You can use the same plugs in New Zealand, China and Taiwan. It’s worth investing in a travel adaptor, which’ll save you from scrambling through your collection of plugs for each country you visit. If you forget to bring one, you’ll be able to buy adaptors at any international airport in Australia. Move over America – Australian burgers are where it’s at. There are plenty of burger joins littered around most of the big cities. Yet, while you’re in Australia, I recommend going to any sort of takeaway shop and ordering a uniquely Aussie burger – featuring home grown beef, beetroot, a slice of pineapple and a fried egg, along with your regular suspects of lettuce, tomato and sauce. It sounds barmy, I know – but it’s a truly winning combination, which will delight your tastebuds. Similarly, order a potato scallop (or “potato cake” as Victorians call them) and be sure to douse it with chicken salt before eating. Due to our proximity to SEAsia, we have plenty of restaurants offering all sorts of Asian cuisines and delicacies. The Chinese restaurants that feature in just about every small country town can be a bit hit and miss. However, if you’re in one of the bigger cities, do yourself a favour and stuff yourself full of sushi, Korean BBQ, Malaysian, Thai, Vietnamese and most important of all… dumplings. 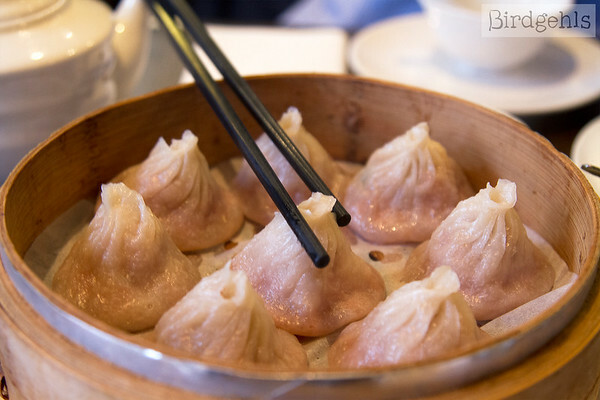 I pretty much subsist on dumplings in Melbourne and this makes me very happy, indeed. It is a little bit upsetting when you travel to Thailand and have amazing Pad Thai for $2, then have to pay $15 for the equivalent here in Oz. But hey, at least it tastes good. Another very underrated part of Australia is our craft beer and wine scene. It makes me upset when I travel overseas and I see brands like “Jacobs Creek” and “Yellow Tail” listed on menus. I wouldn’t even use them to clean my toilet, let alone voluntarily ingest them. 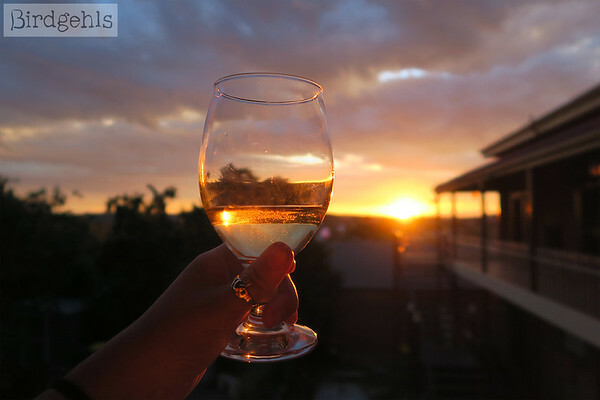 If you have the time and are in SA, NSW, VIC or Tassie, hop in a car and get out to explore some wine regions. A time-honoured weekend activiy is to hop in the car and stop in at little wineries on the way. 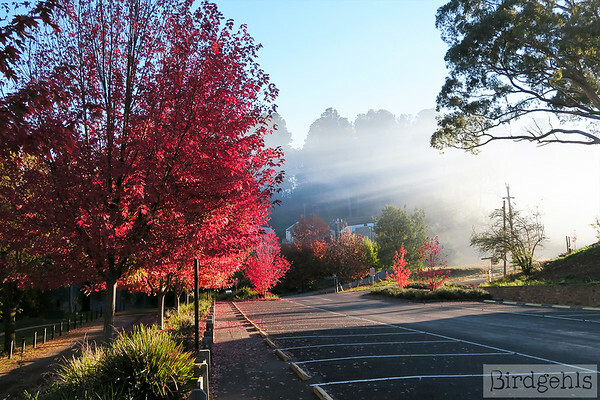 My favourite region for this in Victoria is the King Valley. There are speciality stores selling craft beer in many of our cities. Go in and ask the usually very friendly staff for recommendations. Drink all the coffee while you’re here. Aussies are serious about their coffee, particularly in Melbourne, where it’s treated almost like a religion. As someone who doesn’t drink coffee, I sometimes feel like I’m on the outside looking in. However, I do like a colourful latte and there’s certainly plenty of those floating around, along with some respectable tasting teas. 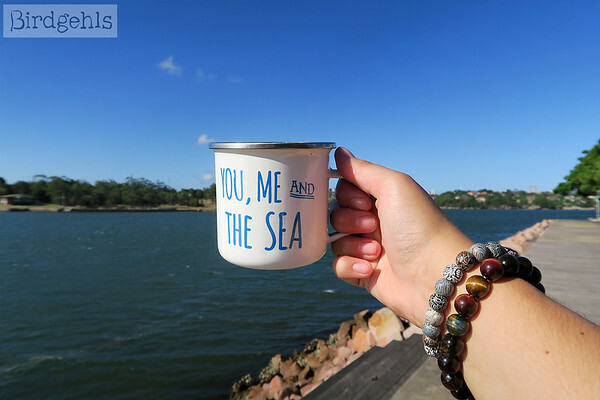 Don’t forget your KeepCup! Some places will give you a discount if you bring your own cup and every little bit saved certainly counts for something. Alcohol is heavily taxed in Australia and there are many drinking restrictions in pubs and clubs around the country. If you’re planning a big night on the piss, it wouldn’t hurt to do some “pre-gaming” at home (I’m not encouraging binge-drinking here, just saying there’s nothing wrong with a cold beer or glass of vino before you hit the town). It’ll be lighter on your wallet. Sipping on vino in country Victoria. Although we are a united nation, the states make up their own rules in many instances, particularly when it comes to road rules and glass sizes at pubs. Depending on where you are in the country, you won’t be able to get a pint. South Australians also quite deceptively call a 425ml glass a pint. That’s what we call a lie, everyone. A jug: 1140ml or 40 oz. You’re supposed to share it with friends, but no judgement if you want to drink it alone. A pint: 570ml or 20 oz in most states. It’s generally not widely available in NSW and in SA you have to order it as an “Imperial Pint”. A pot: 285ml or 10 oz. I had never heard of this size until I moved to VIC (I’m not a beer drinker!) – but I soon realised we call it a middy in NSW! If you want to know more about ordering beer in Oz, check out this post. It’s also worth noting that some cities have introduced strict laws in response to alcohol fuelled violence. Newcastle in NSW has had them in place since 2007, with lockout laws and restrictions on drink servings at venues. I lived in Newy when I came of age, so that was really fun. Controversial lockout laws in Sydney a few years ago just about ruined the nightlife. Plus, now you get all the people who used to go out in Kings Cross in suburbs like Newtown, which is unpleasant. Americans and Canadians rejoice, as the legal drinking age in Australia is 18! This seems great when you’re between the ages of 18-21, but once you reach your early-to-mid-twenties, you’ll start complaining about how annoying 18 year olds are and how the drinking age should be raised. I’m thirty now and if I go to bars (on very rare occasions), everyone looks around twelve to me. All a matter of perception, I guess. As another note, don’t drink and drive. The limit for drinks is 0.05. If you get pulled over, breathalysed and blow higher than that, the consequences will be serious. 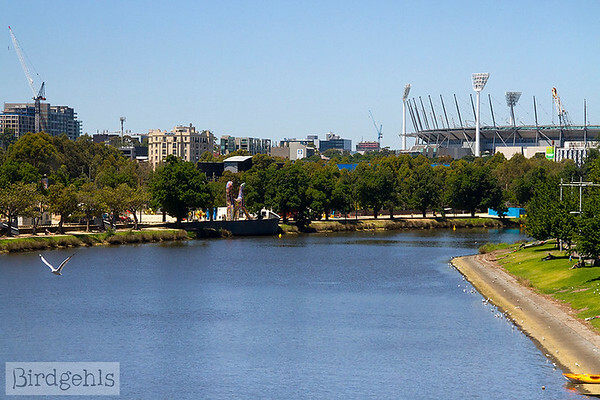 The Melbourne Cricket Grounds is in the corner, home to the AFL (Aussie Rules). Australians are mad about sport, with Melbourne having been named the sports capital of the world. Let’s also remember that it was the second city in the world to be named a literary city, something that is always at the forefront of my mind during the sporting season, to avoid utter despair. Sports across codes are celebrated country wide, particularly Aussie Rules, Rugby League and cricket. Players are treated like gods and people get passionately involved with their teams prowess, sometimes a little too passionately if you ask me. There are some good points however. In the last few years, there’s been a surge in national leagues comprising of women across different sports and they have been gaining in popularity (particularly our women’s soccer team, who are amazing and win entire competitions, unlike our woeful men’s team). Maybe one day they’ll even be paid an equivalent wage to their male counterparts. There’s nothing like being at a stadium full of screaming fans during a particularly charged AFL game. If you’re in Australia and you get the chance, go watch a sporting team do the sports and soak up the atmosphere. 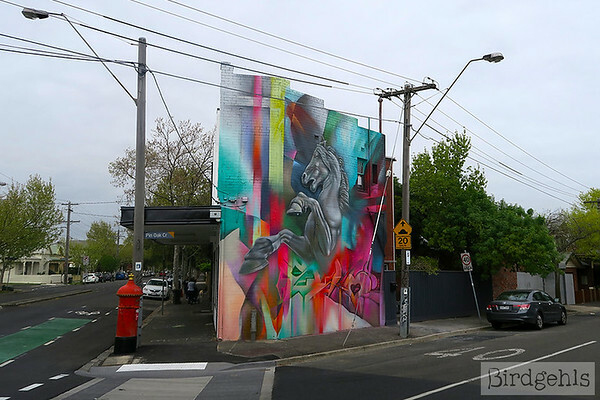 Check out this article on where to stay in Melbourne, if that’s where you’re heading. When it comes to football games (not to be confused with soccer, which is what we call actual football here!) there are two different codes that are popular around the country. Queensland, NSW and the ACT to some extent, follow Rugby League. This is a sport that sees players with necks as thick as my thigh charge back and forth across a field for eighty minutes, tackling each other along the way. The rest of the country is obsessed (and I’m using that term lightly) with the sport of Aussie Rules (also referred to as the AFL, although that’s the national league they play in). Here, two teams of eighteen players run back and forth across an oval-shaped field, leaping into the air to catch balls and kicking goals. Although there are AFL teams in NSW and QLD, they’re not nearly as popular as other teams in the comp (although the Sydney Swans do have a devoted fan base on account of once being the South Melbourne team). I don’t think any one sport is better than the other and it’s worth catching a game of one or both if you get the chance and you’re into that kind of thing. Be prepared and enjoy your road trip! I would list a road trip in Australia as a must-do activity, but you should take the following points into consideration before setting off. As mentioned previously, download areas of Google Maps onto your phone, in case you should experience an Internet blackout. 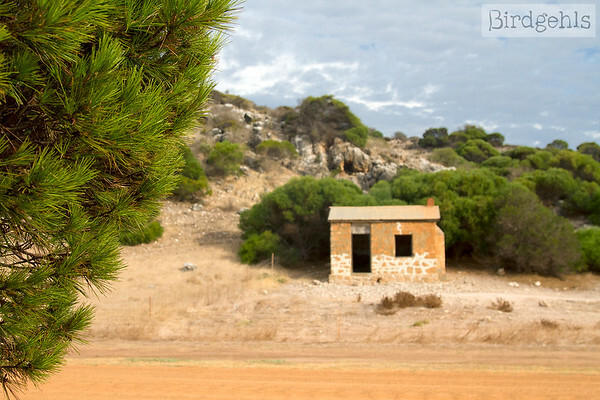 The landscape may be unchanging for quite some time – especially along the Nullabor Plain or Eyre Highway (or “Nulla-boring” as some people call it). It contains the longest, straightest section of tarred road in the world (146 km, 91 mi). Have a good playlist on hand if you plan to cross it. I would bring plenty of snacks – an esky (icebox) full if you can, as well as a lot of water. Fill up on H2O when you get the chance. Towns around the country have bubblers/water fountains in them, so you should be all right with using your reusable water bottle. At the very worse, most supermarkets in Australia sell 5L bottles of water, so if you’re concerned, you can grab one of them rather than accumulating a bunch of plastic water bottles on your trip. Do make sure you watch out for wildlife, especially at dawn and dusk when they come alive and have a tendency to cross highways. Our beautiful fauna does not deserve to be road kill and a kangaroo can do a heck load of damage to a car, especially those big burly bastards you see outback. And if you think you need petrol… get it! We do have a fair few servos (petrol stations) littered on roads and in small country towns, but if you think you need to fill up your tank on a road trip, don’t hesitate, just do it. The last thing you want to do is run out of petrol in the middle of nowhere. It won’t hurt to know who to contact if you’re in need of roadside assistance, either. If you’re renting a car, ask about this when you pick up the keys. Spend enough time in ‘Straya and you may become fluent in ‘Strine. In Australia, we officially speak the Queen’s – that is British English, although sometimes you’ll see people spelling things the American way, for which I blame the Internet. It may sometimes seem as though we’re speaking a different language entirely, due to our very distinctive Australian slang (also known as “‘Strine”). You’ll be baffled at first, but listen and learn and you’ll soon get the hang of it yourself. Too easy, mate. Before the European invasion, there were many different Indigenous languages spoken across the country (an estimated 250). Many of these were lost with the decimation of Aboriginal Australians and their culture – I believe around 20 are still spoken by younger generations. So unlike New Zealand, which list English, New Zealand Sign Language and Māori as their official languages, we don’t really have one official language. English is de facto, so that would probably be it. Leading on from the above point, Australian history is amazing at times and tragic at others, but above all, it is highly interesting. Our land remained untouched for millions of years before Indigenous Australians first crossed onto it, which some think happened up to 100,000 years ago. Their culture, the oldest in the world, is very fascinating indeed. As horrific as the European invasion is to read about, it is part of our history. We can’t do much to change it, but we can learn from it, going forward. We had the Gold Rush in the 1850’s which brought Chinese settlers to the country, in search of riches. Displacement after the major World Wars saw a lot of Europeans migrate over to Oz, bringing with them the hope of a better and brighter future. And lately we’ve seen many other cultures from all over the world journey over and call Australia home. The result is a very multicultural country, with I believe, a bright future ahead of it – if we can all learn to get along. Enjoy your time in the land down under. It truly is a special place. 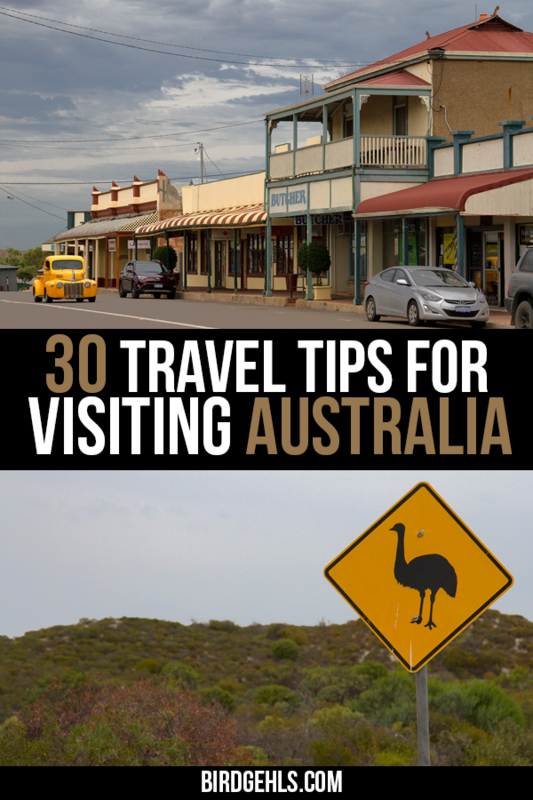 I hope these travel tips help you prepare for your trip to the land of Oz! For more content on Australia, follow the Birdgehls’ Facebook page or subscribe to my newsletter. If you need any more Australia travel advice, feel free to contact me. I’m always happy to help out. 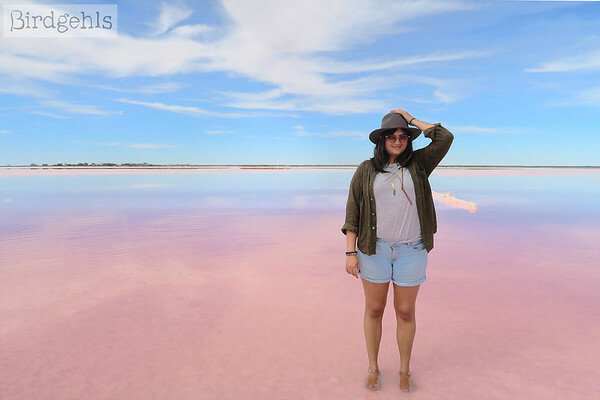 Check out this post on what NOT to do when travelling to Australia and here are some slightly tongue-in-cheek tips on how to avoid looking like a tourist in Australia. 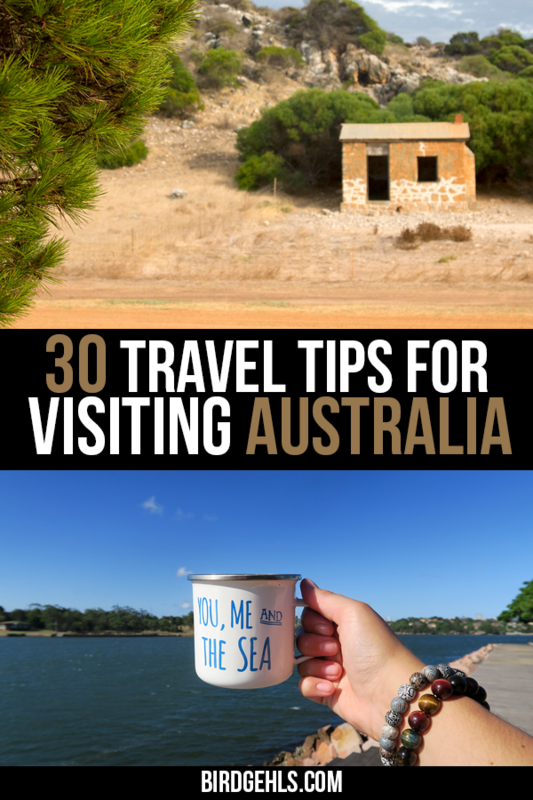 And if you’re after some Australian travel ideas, you can read through my archives on Oz, or this post on the best places to travel to in Australia. I will keep updating this post as more points occur to me, so do bookmark or pin it for future reference! Love this post and so detailed! I find it fascinating that Australia has such terrible speeds for broadband internet (60th) and yet for mobile speeds (namely areas with 4G) it is within the top 10 (think it’s 7th). Thanks! I hear you. I can’t even access the NBN and I only live in the second largest city in the country. Huh. Good call! Come in the autumn I reckon, it’s so nice now with all the foliage turning red and orange. Your posts always make me so nostalgic! Loved the point about the glass size changing. So true haha. It’s so silly, I wasn’t a big drinker when I was younger and had no idea until I moved to VIC! I moved to Aus 7 years ago and can relate to almost every point here! Especially how expensive the food is and how crappy the internet is haha. 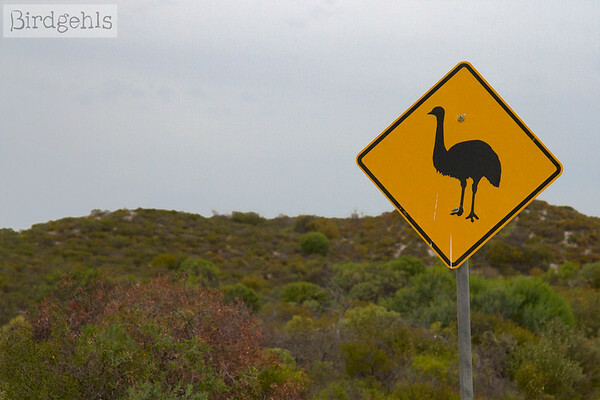 We see kangaroos and emus everywhere – they’re quite a hazard when driving. I am terrified of driving at dusk in the countryside for that reason! Haha yeah the chips thing is annoying. I think most Aussies intrinsically known what the other is talking about but it is confusing for everyone else. I would describe Melbourne’s weather as generally being stupid all year round. I loved living in Australia so much! You’ve included some great points ?